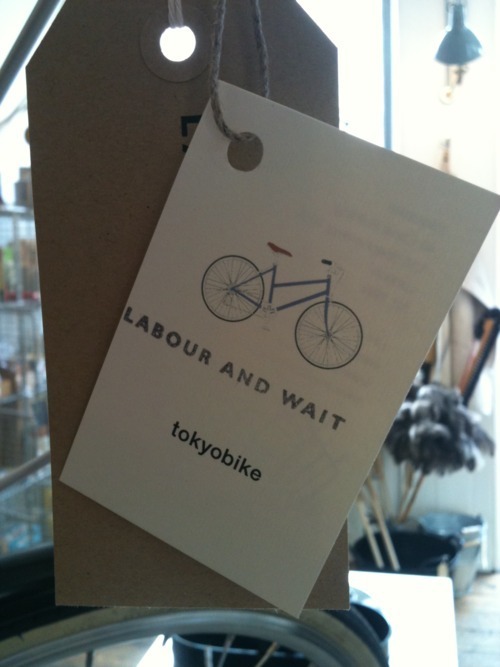 We are pleased to present Labour and Wait’s collaboration with Tokyobike. The resurgence of interest in urban cycling is one of the most remarkable stories of the past few years. Perhaps the influence of ‘fixie’ culture has worked its way into the mainstream, for there is no avoiding the brightly coloured, narrow handlebarred single-geared machines weaving in and out of the London traffic, nor the classic ( and not so classic ) racers and their hunched and frantic riders. All these cyclists now take their place on the roads alongside the town bikes, the tourers, the Dutch bikes, mountain bikes, Bromptons, shoppers, choppers, BMXs, and cruisers; and lets not ignore the invigorating renaissance of the bike shops, workshops, renovators and restorers and, most curiously, the birth of the bike café. Those of us who have cycled for many years recognize the freedom and the spontaneity of cycling, as well as the pure and simple pleasure of getting on your bike and pushing hard on the pedals, and it is a joy for us that this is something that more and more people are taking pleasure from. And it is also worth noting that at the start of the twenty-first century so many people are turning to a machine that has survived virtually unchanged for over one hundred years. 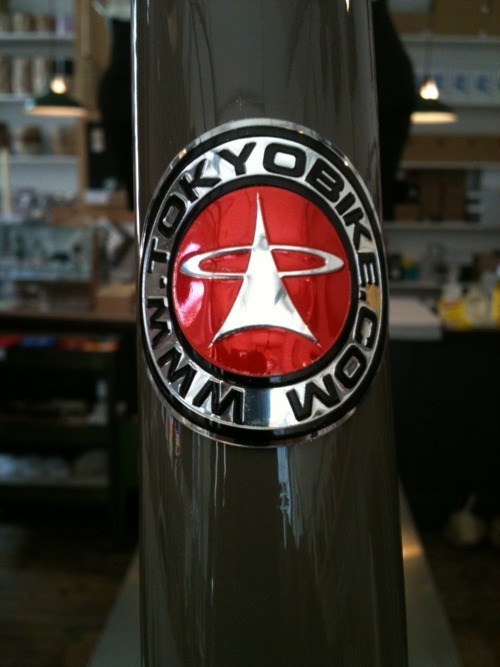 So we are delighted to be able to reveal our collaboration with Tokyobike. 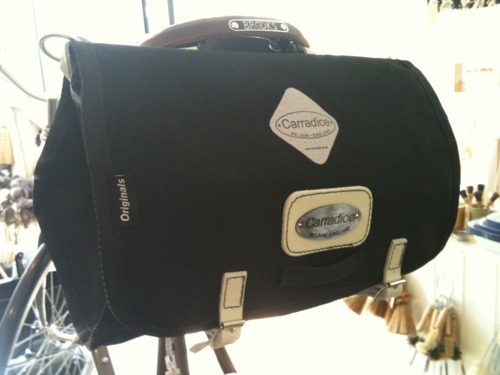 We first became aware of this company a couple of years ago, both through our Japanese contacts and through their British distributors, when we were taken by the simple, clean lines of the bicycles and the thoughtful, curated appeal of their pop-up shops. The best way to describe the Tokyobike classic – the basis of this bike – is with the word that appears most often in our blog, in our shop and in our thinking: timeless. The Labour and Wait Tokyobike is truly timeless, for we are neither neon hipster nor tweed-clad gent, but we are who we are. 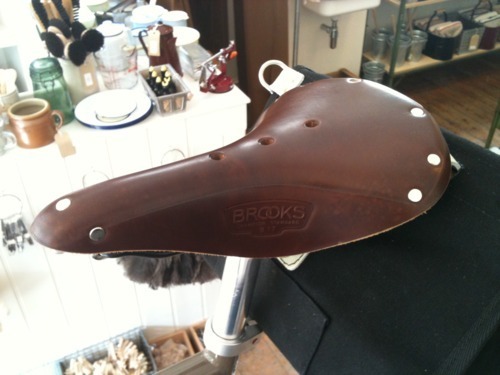 We love the mix of modern and classic on this bike – the full steel frame and Shimano gears with our specification Brooks B17 leather saddle and Carradice Junior saddlebag. 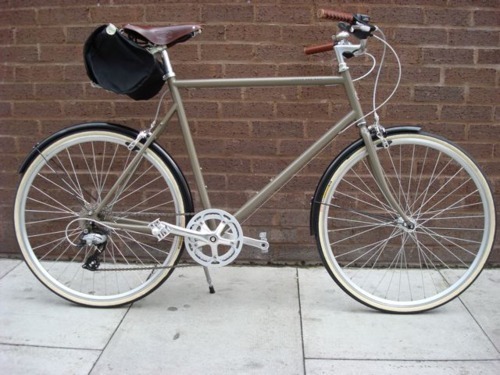 The bike is a hybrid of Japanese and British style, the frame designed and built in Japan, the accessories handmade here in the UK. 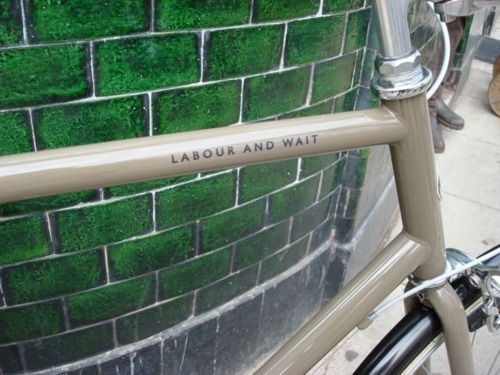 This bike represents Labour and Wait, for it is not about ‘retro’ or nostalgia, but the simple pleasure of a well designed, functional and timeless product.